Important holidays have long been associated with large feasts and for centuries have functioned as an excuse to treat family and guests to something special. 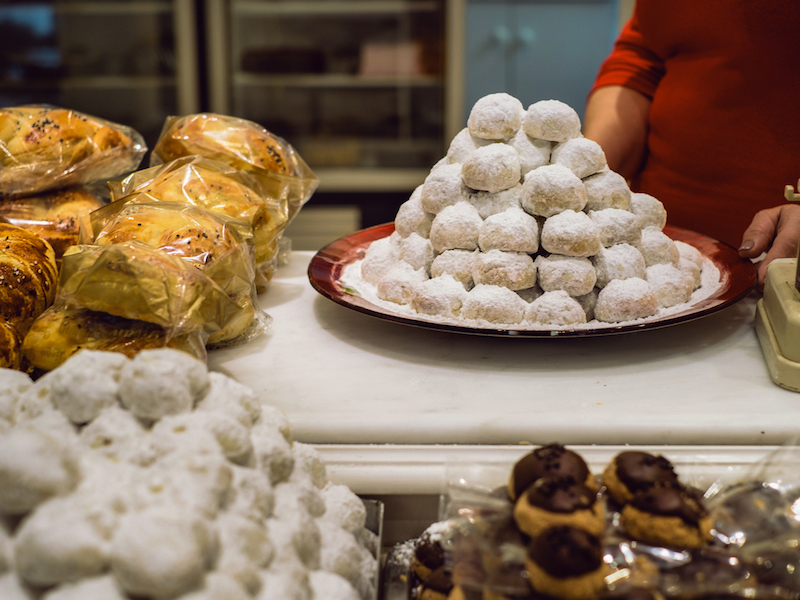 Christmas in Greece is no exception: there are many culinary traditions associated with the Christmas season, known as Dodekaimero (twelve days), which officially begins on December 24 and ends on January 6. Nowadays many Greeks associate the Christmas table with a roast stuffed turkey, a tradition that arrived in Europe from North America, particularly Mexico, around the 1820s. It gradually became fashionable in Greek cities and over time turned into a Christmas staple, with a traditional stuffing prepared mainly with chestnuts, chopped turkey liver, minced meat, pine nuts and raisins. 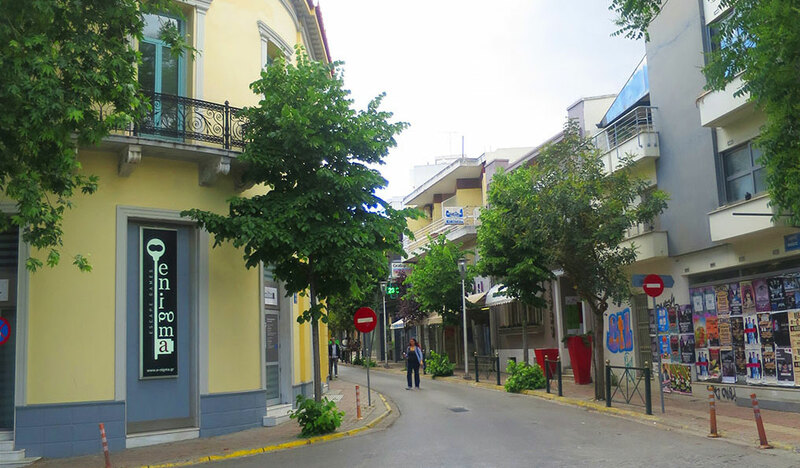 Yet there are numerous other culinary traditions, often specific to certain regions in Greece, with much deeper roots. Just as many big Christian celebrations like Christmas and Easter replaced older existing pagan celebrations that occurred during the same season, a lot of these festive traditions were actually adopted and adapted to the times accordingly. Sweets are always plentiful during the Christmas season, with kourambiedes, melomakarona and diples being the most famous. Yet there are many other Christmas culinary traditions that also symbolize prosperity, abundance, good luck and health, as well as some that focus more on the idea of birth and honoring the pregnant holy mother and her baby. Plus, since such celebrations were always a good excuse to eat foods that were once considered a luxury, it’s no surprise that many of these regional dishes involve meat of some sort. The factor uniting these different traditions is that they were and still are an important reason to bring the family together come Christmastime. Pork is, without a doubt, the traditional Christmas dish eaten in most parts of the country. It’s a custom that actually derives from ancient Greece. During the same season, farmers used to sacrifice a pig to honor the god Cronos, who was later renamed as Saturn by the Romans, and his daughter Demeter, the goddess of the harvest and fertility, and ensure a good harvest. 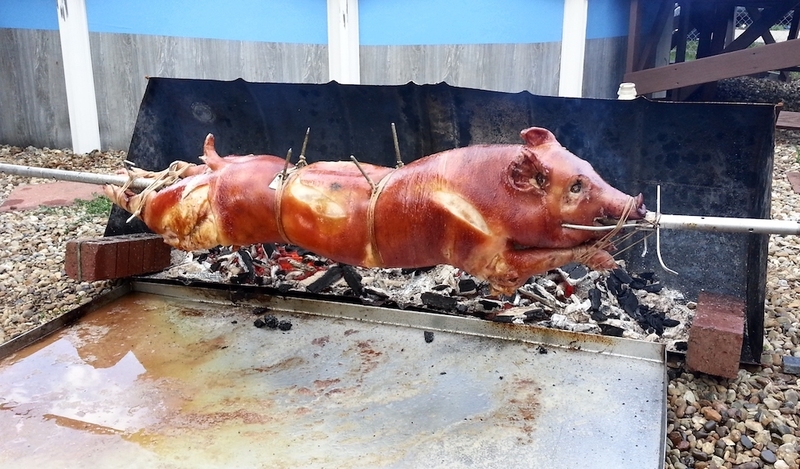 This tradition was continued over the years, and rural households around the country – especially those involved in agriculture – still breed a pig for the express purpose of slaughtering it before Christmas (between late October and Christmas Eve depending on the region), a practice known as hoirosfagia (pig slaughtering) or gourounochara (which surprisingly translates as “pig happiness”). The ceremony in many cases involves music, feasting and drinking, and is almost a separate festivity on its own. All parts of the pig are put to good use: the animal is cured and preserved in different ways, with the best parts kept aside for the Christmas table. And when we say nothing goes to waste, we mean it: the skin is used for shoes, the hair to make brushes and the bones for broth. Recipes vary according to the region, but pork is most often roasted or cooked as a stew, usually with cabbage, leeks or celery (particularly in central Greece). For example, in Trikala, an area in the country’s agricultural heartland, they make gournada, a delicious pig roast with potatoes. And on the island of Cephalonia, they make poutrida, a spicy stew out of pork cooked with cabbage, cauliflower and paprika, while in the Peloponnese it is usually roasted, baked or braised with cabbage. 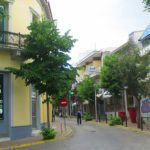 Crete is known for oven-baked pork prepared with lemon leaves, which give the dish a special fragrance; but sausages, apaki (cured pork), tsigarides (crispy suet) and other pork-based delicacies are also made there. In Thrace (northeastern Greece) they prepare a kind of sausage called bambo, pork intestines stuffed with minced meat and offal, rice and spices. Come Christmas Eve, it is traditionally put on a low fire to cook overnight so that it’s ready to be eaten on Christmas morning after church. Particularly popular in the Dodecanese islands, northern Greece and Epirus (northwestern Greece) is sarmades or lachanodolmades. Here the pork is minced and, nowadays, often mixed with beef. Chopped herbs and rice are added to the meat, then tightly rolled in cabbage leaves and usually served in avgolemono, an egg-and-lemon sauce that beautifully brings out the flavor of both the pork and cabbage. The cabbage leaves tightly wrapped around the stuffing symbolize the swaddling clothes that Jesus was wrapped in. Locals on the island of Samos prepare, among other delicacies, paspalas (cured pork belly) and pichti. The latter, which means “thick,” is a meat jelly made of pig’s head (it can be found in other parts of Greece under the name tsiladia or ziladia). After it has simmered for quite a while, the meat is chopped and then often mixed with other chopped or sliced ingredients such as eggs, carrots, capers, green olives and green peppercorns. The key component to the recipe is lots and lots of lemon juice, which actually helps it set and gives it the look and texture of jelly. Greeks have traditionally cooked chicken soup on Christmas Eve, to be eaten once they returned home from the Christmas Eve church services. This dish is still prepared in parts of Greece, but mostly in Thessaly and Crete. Msoura, a whole chicken covered with chopped leeks and stuffed with chopped chicken livers, raisins, rice and chestnuts, is still prepared in parts of Thessaloniki (one could call it a predecessor to the Christmas turkey). Whereas on Corfu and Lefkada (islands located in the Ionian sea, off the coast of northwestern Greece), rooster cooked in tomato sauce and served with pasta is traditionally served on Christmas. Christopsomo (Christ’s Bread), a symbol of prosperity, is still quite popular across Greece, although few people bake it at home since it’s so widely available in bakeries. This round shaped white bread is covered in sesame seeds and decorated with a big cross in the center; often you’ll find shelled walnuts, symbolizing fertility, on top as well. In several parts of Greece, including Crete, the ornate decoration of this bread is very important, as it’s a symbol of the divine power. 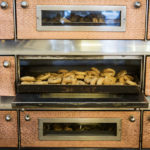 To honor this particular bread’s symbolic importance, high-quality ingredients like honey, rosewater, nuts, sesame seeds, and aromatic spices such as cinnamon and clove are used. The oldest member of the family is traditionally the one who will stand up, mark a cross on top of it and then slice the loaf before the meal commences. Another variation of christopsomo is sykotourta (literally “fig cake”), a tradition from the Greek province of Macedonia. Sykotourta is a sourdough bread made with olive oil, flour, water and salt, and sweetened with black raisins and chopped dried figs. 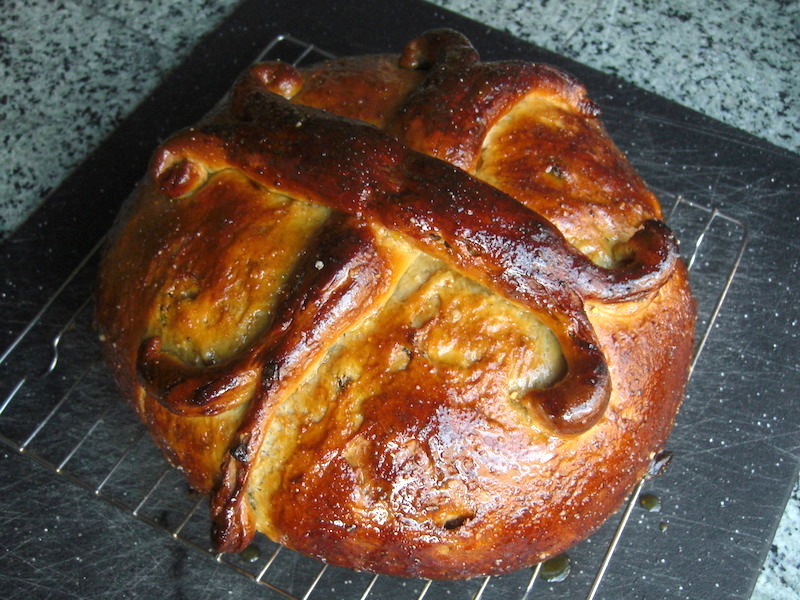 Like christopsomo, this bread is also decorated with a symbolic cross on top to bring good luck, happiness and blessings. Kouloura is another version of Christ’s Bread that is perhaps most famous on the Ionian island of Zakynthos, where the round-shaped bread is served on important Christian holidays and sometimes even on weddings, and Sparta in the Peloponnese, where the bread is in the shape of a cross and beautifully decorated with shelled almonds and walnuts. The ornate decoration of christopsomo is very important, as it’s a symbol of the divine power. The kouloura on Zakynthos is something between a cake and a bread usually made with 15 ingredients including lots of aromatic spices like cinnamon, clove and anise, olive oil, red wine, raisins, pine nuts and walnuts, orange juice and mandarin zest. The bread is elaborately decorated with dough and hidden inside is a silver or golden coin called ηύρεμα, or evrema (finding). 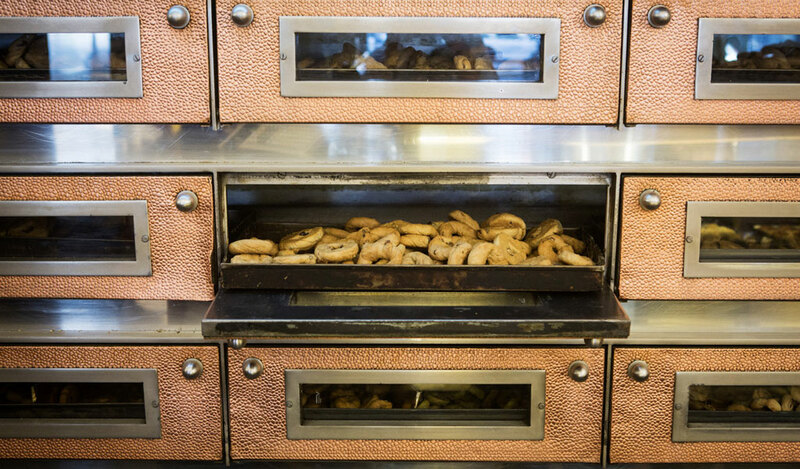 On Christmas Eve, the bread is baked in a traditional wood-burning oven and kept warm until the evening when dinner is served. When the family finally gathers around the Christmas table, they place at its center a large platter with the kouloura on it and red wine. Before they commence their simple meal of broccoli soup, olives and onions (tradition calls for them to fast in order to receive communion at church the next morning), the oldest male family member grabs the platter with the bread and the rest of the family place their hands around the platter. Together they pass it over the burning fireplace, cross it three times and pour a mix of olive oil and wine on top of it while singing religious psalms. The bread is returned to the table where the oldest member of the family slices it. The first piece goes to Jesus, but the rest are handed out to the family members, all of whom are eagerly waiting to see if they’ll find the coin – which brings good luck – in their slice. 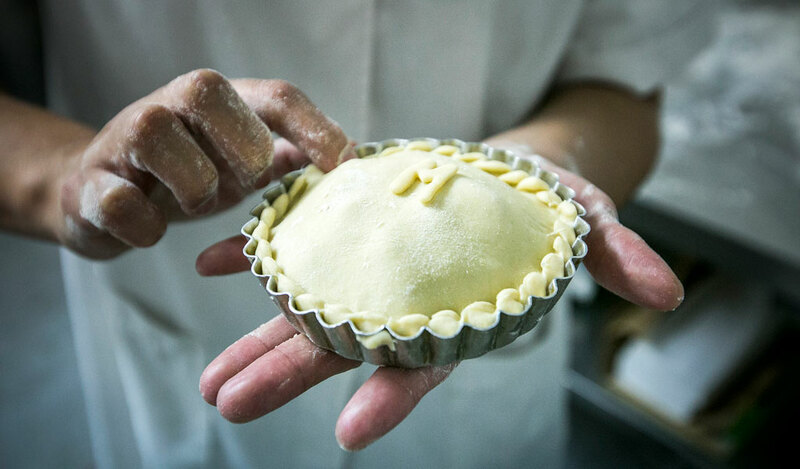 Sweet and savory pies have been an important part of Greek cuisine for centuries. Epirus, the mountainous region in northwestern Greece is particularly famous for the pies, so it’s no surprise that you’ll find a wide variety on the Christmas table there: a meat pie, kosmeri (a type of cheese pie), batsaria (a type of spinach pie), galatopita (a sweet milk pie) and a sweet pumpkin pie usually make an appearance. 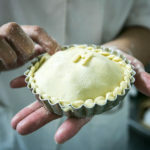 In Arcadia, down south in the Peloponnese, meat pie is a popular dish served on Christmas, while ladopita (sweet olive oil pie with almonds, cinnamon and sesame seeds) is prepared on the island of Lefkada. 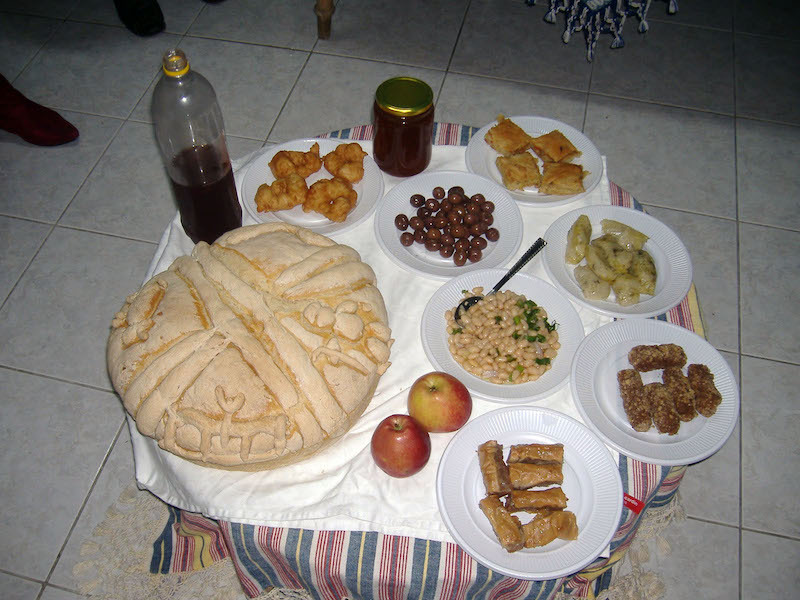 In Thrace, each household sets the table on Christmas Eve with nine different foods in order to ensure an abundance of food throughout the year. According to folk legend, the number nine represents either the nine months of Mary’s pregnancy or the nine places that Joseph and Mary stopped at before arriving at the Nativity scene. Every single food on the table – christopsomo, beans with pickled cabbage, boiled wheat, rizopita (rice pie), fruit, onions, honey, saragli (a type of baklava) and wine – carries a symbolic meaning. In Zagorochoria, the mountainous villages of Epirus, locals prepare spargana on Christmas Eve. Literally translated as “swaddling clothes,” spargana represent the clothes baby Jesus was wrapped in. A type of pancake made with flour, water, salt and sugar, spargana are traditionally baked in the fireplace on a hot stone instead of in a frying pan (lots of people bake them in the oven nowadays). They are served in a stack with lots of chopped walnuts in between the pancakes and on top, and drizzled with sugar syrup or honey.